Canada Revenue Agency (CRA) is responsible for monitoring the operations of registered charities within Canada to make sure that they comply with the Income Tax Act (ITA). To enforce compliance, CRA may impose penalties, which range from fines to revocation of charitable status. CRA has expressed an intention to respond to initial and less serious non-compliance with an education approach prior to imposing more rigorous sanctions. Although CRA has very broad authority under the ITA to revoke charitable status for non-compliance, in practice CRA tends to exercise this authority only for more serious infractions. 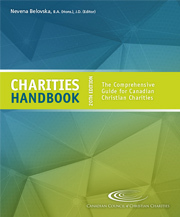 Charities may also be subject to penalties or sanctions from other authorities, such as provincial bodies, pursuant to their obligations under legislation or trust law.